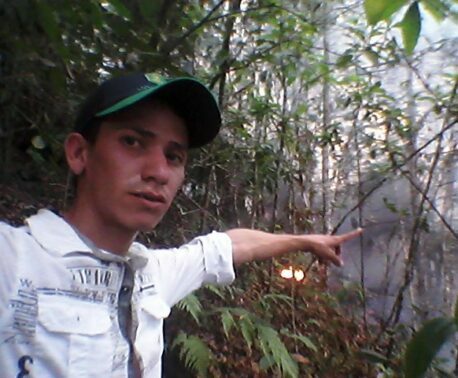 A land purchase in Güisayote Biological Reserve supported by World Land Trust (WLT) will protect the critically endangered Honduras White-lipped Frog. 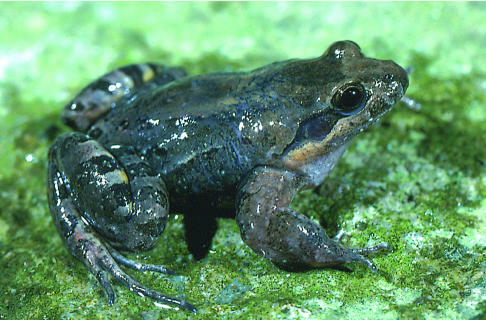 There have been few biological studies in Güisayote, however the area is extremely important for the conservation of amphibians, in particular the Honduras White-lipped Frog (Leptodactylus silvanimbus). This species is found only in the Department of Ocotepeque in extreme western Honduras, at elevations of 1,470-2,000 metres above sea level, and is classified as Critically Endangered on the IUCN Red List. The area might also be home to Cerro Pital Salamander (Bolitoglossa synoria). Also, listed as Critically Endangered on the IUCN Red List, this salamander is native to Honduras and El Salvador, and has been recorded at the nearby El Pital Biological Reserve. But it’s not just amphibians that are protected in Güisayote. Rare species of mammals, birds and insects are also found in the reserve and surrounding forests. Güisayote provides important habitat for the White-lipped Peccary (Tayassu pecari), listed as Vulnerable on the IUCN Red List, and Geoffroy’s Spider Monkey (Ateles geoffroyi), listed as Endangered. Other mammals include Puma (Puma concolor), Jaguarundi (Felis yagouaroundi), Common Opossum (Didelphis marsupialis), and Nine-banded Armadillo (Dasypus novemcinctus), Spotted Paca (Agouti paca), Northern Raccoon (Procyon lotor), White-tailed Deer (Odocoileus virginianus). 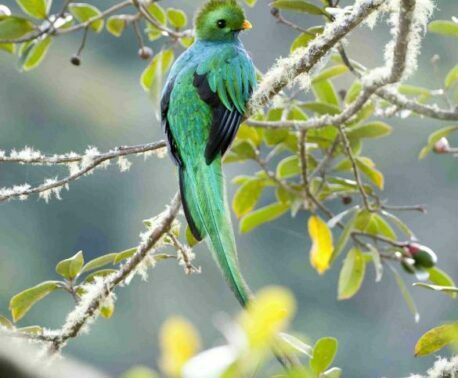 Bird species found in the area include Resplendent Quetzal (Pharomachrus mocinno),which is listed as Near Threatened on the IUCN Red List, Plain Chachalaca (Ortalis vetula) and Red-tailed Hawk (Buteo jamaicensis). The area also provides important habitat for birds such as the endangered Golden-cheeked Warbler (Dendroica chrysoparia), that migrate south from north America to overwintering grounds in central America. At the tiny end of the scale, at least 24 species of ant have been recorded in the mountain top areas of Güisayote. The reserve is home to the southernmost population of Perissomyrmex snyderi, the only species of this genus in the New World. Restricted in range, the ant species of Guisayote are among the species most at risk of extinction due to habitat loss and climate change. Permission to use the image of the Honduran White-lipped Frog has been granted by the photographer James McCranie.